Per Serving: 151 calories; 11g fat; 12.0g carbohydrates; 5g protein; 0mg cholesterol; 521mg sodium. 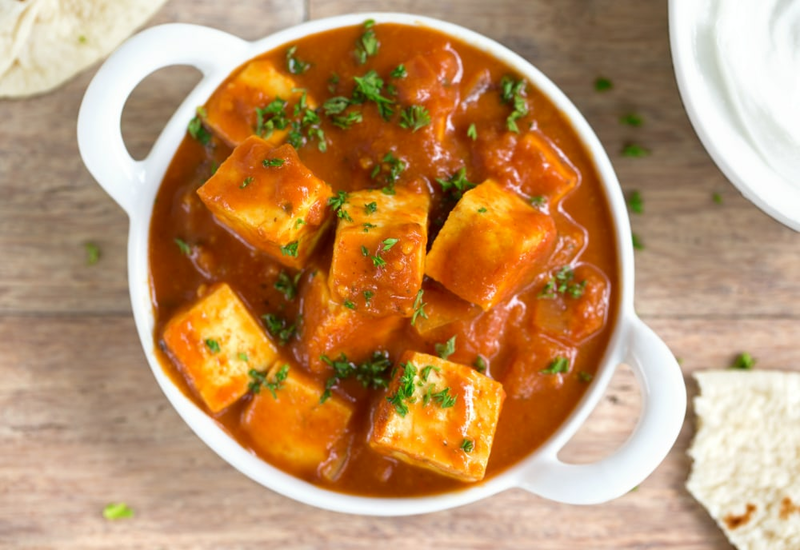 I'm obsessed with tikka masala, and this meat free version is super tasty. It's very authentic tasting, the perfect amount of spice and flavor. Really good ginger and curry flavors in the sauce and tofu. I served with rice for a quick weeknight meal. I'm not vegetarian or vegan, but I can definitely appreciate great flavor. This was delicious. I used heavy cream, not coconut milk, and also stirred in some Greek yogurt to this delicious tikka masala. I served it up with basmati rice, my favorite. This was a really easy recipe, perfect for meatless Mondays. There's only a few select dishes that I enjoy eating with tofu. This is one of them! Curry flavor is so rich, that when the tofu absorbs it you can't even tell that 's what you're eating. It's so flavorful! I used 1/2 onion and added extra garlic. So yummy! Tofu is a lot easier to cook with than I expected. The flavor and texture were perfect. I'm also a huge fan of ginger so I added a little extra. Yum! My hubby said this is better than any Indian restaurant he has had in years. I added chili powder and a lot of extra cumin to give it quite a kick. I also baked the tofu a bit longer because I like some crunchiness in my meals. This also made so much that we ate it for days. We used this as a dipping sauce after freezing so much of it. I loved this dish! I also added mushrooms & 1 diced red potato. I broiled my tofu with seasoning & avocado oil before adding it to the pot. I used brown rice tonight but will use steamed spinach for the remaining servings. This was great! Very flavorful and filling and EASY! Even my kids asked for seconds.